News broke of a local company moving their HQ to farther-north Phoenix. This does not bode well for downtown Phoenix at all. The news broke earlier this week that Phoenix-based Sprouts Farmers Market had signed a deal to move their corporate headquarters from near Paradise Valley Mall to the farther-removed and failed CityNorth development near Loop 101 and 56 Street. The new offices will include a Sprouts market. What’s ironic in the article is this quote from Sprouts CEO Doug Sanders: “It also will better reflect the Sprouts brand and our commitment to sustainability.” Yes, because having all of your HQ employees continue to drive to their jobs really is sustainable. Commenters on my Facebook were quick to point out the usual failed Phoenix logic: “At least it’s still Phoenix instead of another town” was a chorus repeated on several occasions. It was suggested by a commenter that this was OK since Phoenix made a massive investment in the downtown-killing CityNorth project despite, as another commenter pointed out, it being a failed project. Other commenters suggested that we should work with Sprouts to have a grocery store downtown, possibly as part of the new development at Central & McDowell. This idea that we must have economic activity all across the 550 square miles in Phoenix is killing our city and any hope we have to compete in the 21st century global marketplace that will be based on urban areas, urban activity, and urban economics. It may be very downtown-centric of me but there are two Phoenixes, if you will: there’s Phoenix proper, the urban part that is a much smaller size, say between I-17 on the west and south, SR-51 on the east, and Dunlap Avenue to the north. Then there’s the other part that I do not like to call Phoenix: the suburb of Phoenix that is subdivisions and sprawl, even if it is within the city limits of Phoenix. That other “Phoenix” is sucking all of the life from the Phoenix I know and love. When you’re both a suburb and central city, as Phoenix and “Phoenix” are, this is what happens. Other cities in our metropolitan area are certainly succeeding while downtown Phoenix falls behind. I have frequently praised Tempe for landing the new home for the U.S. national basketball team and State Farm Insurance developing in their downtown. I have publicly lauded Mesa and their former Mayor, Scott Smith, for the work done to bring quality economic development to downtown Mesa. If you would have told me 15 years ago that downtown Mesa would have a world-class performing arts center, light rail, and a nice downtown, I would have laughed at you. 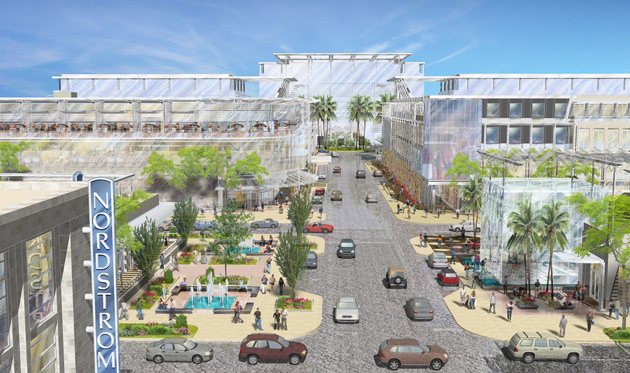 Outside of Arizona, we hear of developments moving specifically to downtown environments. California’s Active Network is moving their headquarters with 1,000 jobs to downtown Dallas. What is the economic development strategy for downtown and midtown Phoenix? I fear to ask the next question, but I will: Is there one? I think it’s admirable that we are trying to have lots of incubator spaces and attract individual entrepreneurs but we need to ask: What is their economic impact compared to, say, the Sprouts Farmers Market headquarters? Or any headquarters for a major or emerging company? The lack of central-city economic stewards makes the downtown development case challenging, especially when the City of Phoenix has adopted the policy (in my estimation) that we need to spread the thin wealth of economic activity and development over the entire 550 square mile footprint. Another troubling question that needs to be asked: Where have our central-city councilpeople been? Or what about the economic development groups that are tasked with downtown’s growth? My fears are that they were, again, asleep at the wheel. At last year’s overly contentious Phoenix City Council elections, one of the candidates said that they thought midtown Phoenix needed an economic development strategy; perhaps presciently, that same candidate called midtown an “inner city.” Absent an economic development strategy, we will become one in no time. While we focus on walkability and creative temporary uses for undeveloped land in urban Phoenix, the good quality development—the stuff we want and so desperately need—moves away from here. We can have the most walkable streets and good urban design, if there’s nothing to walk to, then what’s the point? This needs to be a wake-up call for all of us. We need to do better.